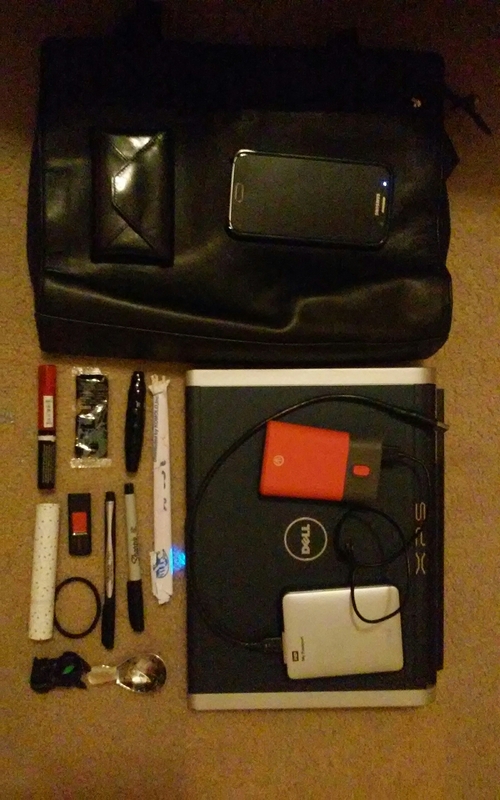 I get asked a lot what I carry, since a lot of what I do is while I’m out and about. So, here it is! 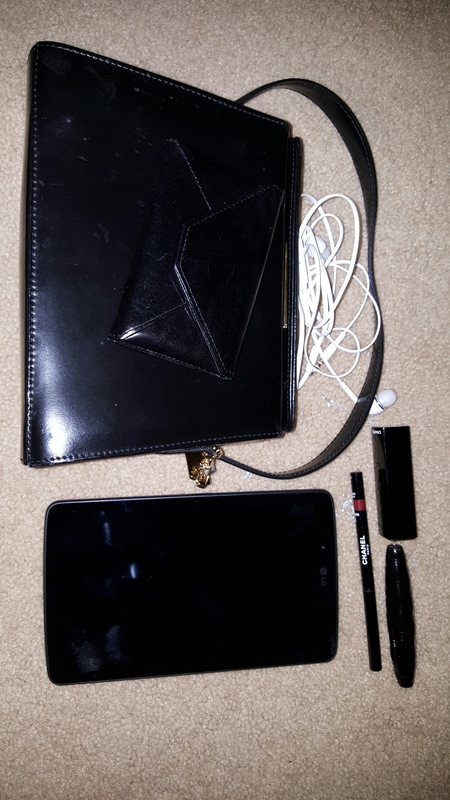 My “mobile office” is my Nine West bag ($20 on Posh), my Galaxy S6, my wallet (which is the black leather envelope, $10 on Posh), my battery bank (9000 mAh), my external drive (2tb), my Dell XPS 1330 (LOVE this laptop!!! ), a Sharpie Pen and a thin tip Sharpie Marker (both are great, but write differently! ), my tea spoon, Matcha (my tea pet), a hair elastic, a spare USB thumbdrive, roll on perfume (Citron de Vigne, by Fresh), disposable chopsticks, Sephora mascara, NYX lip gloss and a packet of soy sauce…because sometimes food doesn’t taste how you want it to.